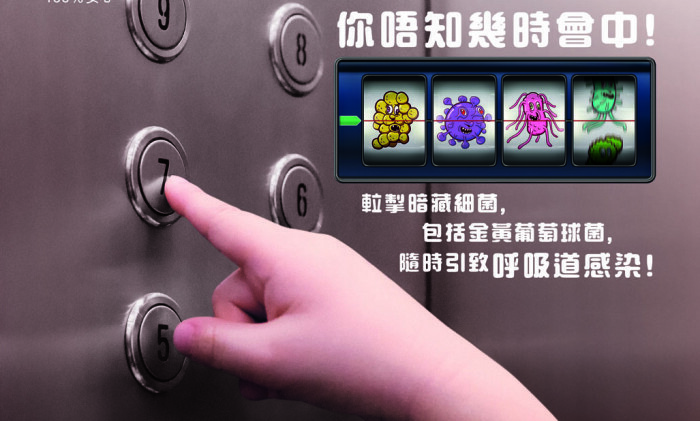 Dettol Hong Kong, owned by British health and hygiene products group Reckitt Benckiser, has launched a series of six short TVCs showing how you can catch germs from your hands to promote its liquid hand soap. 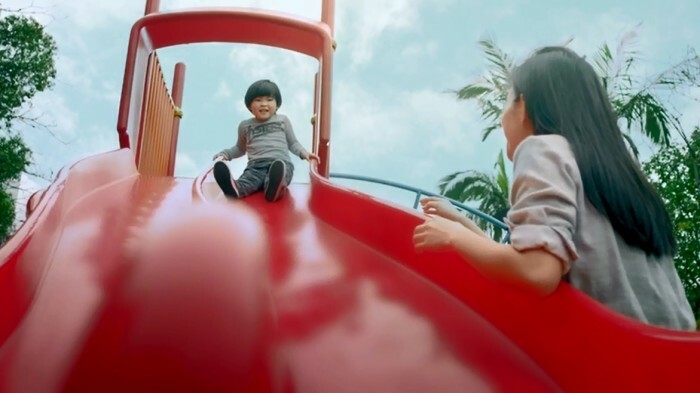 Three of the 15-second TVCs feature a child touching buttons in a lift, a toilet’s push button flush and the sides of a slide in the playground. In the Happy Moments TVC, a girl holds hands with fellow students in a kindergarten as they sing a song together. The remaining two TVCs show a mother touching the fridge handle during food preparation and holding a hand rail on the MTR. “The point of product entry is the kid and the key shopping decision maker is the mother,” said Richard Ng, marketing manager at Dettol. 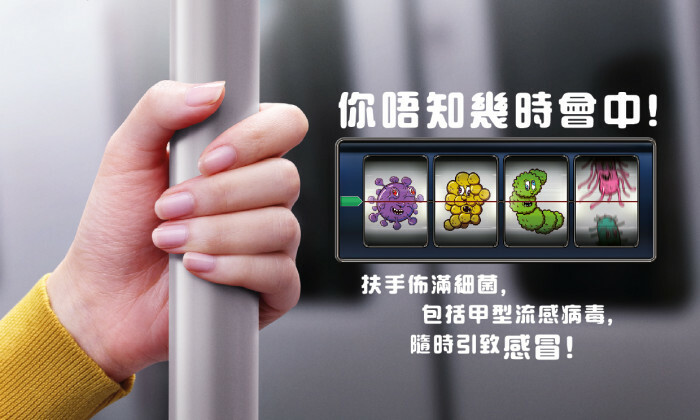 Running until the end of this year, the campaign is named Unlucky Draw, playing on the concept of a lucky draw where you could be the unlucky one to catch germs depending on chance. This is reflected in the slot machine shown in each TVC filled with cartoons of bacteria that could be caught in each situation. With close-ups and slow-motion footage of the point of contact with potential germs, the TVCs risk being seen as paternalistic public service announcements. “We wanted to take a step away from regular advertising. Public service announcements are exactly what the TVCs play on,” said Ariane Friesen, brand manager of Dettol’s hand wash segment in charge of the Unlucky Draw campaign. 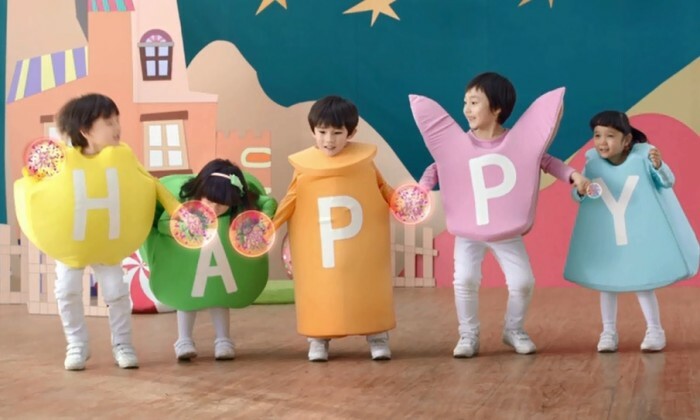 The Happy Moments ad, starring Chinese child celebrity Angela Wang, was created by Dettol’s creative team in China and adapted to the Hong Kong market, while the other five TVCs were created locally. The six TVCs will be rotated on TV until the end of 2014 based on seasonality of the germs shown. Right now, only the Happy Moments, toilet flush and lift button TVCs have been aired on television. Along with the TVCs launched on YouTube are print ads. In the next phase of the campaign, more online video content and banners will be placed by Dettol on social media sites, with more customer engagement components of the campaign to be introduced in mid-June. Paying attention to mobile is important for targeting mothers since they are often on the go and must fit in time to go online in their busy schedules. “It’s becoming more important for us to be where mums are – to account for how they are using their mobiles and to be with them while they are engaging online and are receptive to our messages,” said Friesen. 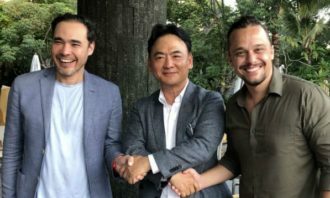 Polident has launched the ‘Polident Gives Golden Citizens Confidence to Shine" campaign to promote denture awareness on reality TV..
Khoo will lead a team of more than 40 people across various business areas. More here..